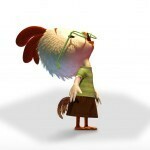 Chicken Little was walking down the path to another regular day when PLOP something hit him on the head. 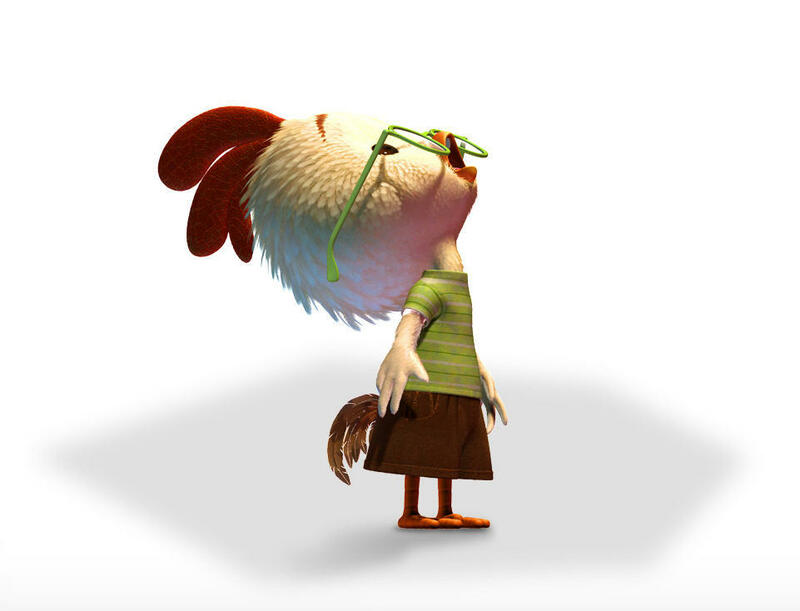 “Whoa, what the heck was that”, said Chicken Little. He looked on the ground and saw…nothing. He looked in the air and saw… clouds. “Oh No”, cried Chicken Little, “the clouds are falling, the clouds are falling”. I’m a lot like Chicken Little. All this talk of Cloud computing, Warring Nations and Digital threats, is causing my old sleepy receptors to fire up. Tiny fragmented thoughts are flying out of my subconscious and slapping up against my conscious brain area. It’s frightening! I bet most of us have worried about losing our cherished photos and address books to some cyber glitch. It’s not that big a stretch to worry about cyber criminals, and then before you know it, evil governments are bringing down the whole Internet. Remember when MafiaBoy, a teenager from Canada, launched denial of service attacks on the likes of Yahoo, Amazon, CNN and others? We all know that in a small New York apartment, a quiet young geek is quietly hacking the Apple store for free AppleApps. It’s real easy to think that the Internet is somehow ready to collapse in ruin. Oflopa BenBadGuy is going to topple the world by killing the Internet and disabling our infrastructure. We need protection and we need it now. Lock it down, tighten it up… The sky is falling, the sky is falling, and there you have it, the real threat. Fear noun 1.a: an unpleasant often strong emotion caused by anticipation or awareness of danger. Knowing that all of us are vulnerable to the Chicken Little effect, Websters could have added “real or imagined” to that definition. Fear is the real threat and it’s being used against us everyday. Don’t worry about government backed hackers, or greedy ISPs, or even anti net neutrality groups. Right now, fear is the biggest threat to our Internet. Fear allows us to hand over control and give up the freedom that we currently enjoy on the open Internet. Cyberwar will not destroy the open Internet, but the hype surrounding it may. Do we really want our government to control an Internet Kill Switch as proposed by Joe Lieberman . Isn’t this exactly what happened in Cairo this month to squelch the organization of protesters? It’s up to us to know what the real threat is. It wasn’t that long ago that all of us worried about SPAM and its effect on our email. Email, the backbone of todays serious communication, looked to be at risk from an application clogging, avalanche of SPAM. Did e-mail collapse? No, the creation and use of Smart Filters took care of SPAM. Today SPAM is only a slight irritation, certainly not a life threat to email. Gmail, Yahoo, and normal progress have taken care of the fear inspiring SPAM. Having trouble finding safe storage space for all your applications and information, BINGO, Cloud Computing comes along. Just when you think the sky is falling, progress comes along and saves the day. That is the very nature of today’s Internet and that’s what keeps it safe. Safety doesn’t come from a self serving, freedom crushing, government bureaucrat. CyberArmageddon? Not if progress and ingenuity are allowed to flourish. The Pit Blog brain area, Chicken, Cloud, conscious brain, cyber criminals, fragmented thoughts, Little, new york apartment, progress, threat. permalink. Very interesting. Nice article Steve. Seems all to true. Amen to no government interference nor control. I am disappointed that more people don’t seem to be speaking up against net neutrality and government control of the internet. Are we prepared for solar flares,which could shutdown our beloved dependence on global satellites?.ei. no cell, no Facebook?